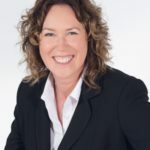 In this webinar, Kerrie-Anne Sommerfeld talks about striking the balance between the attributes of quality assessment. The webinar guides you through a series of assessment mapping steps that improve the design and quality of your assessment tools. Kerrie-Anne Sommerfeld is a training, assessment and curriculum specialist for the VET sector and believes that growth follows quality. She focuses on helping RTOs to meet the VET Quality Framework Standards related to teaching and assessment, including the professional development and coaching of teaching staff. She uses strategies grounded in educational practice rather than focusing on compliance only.